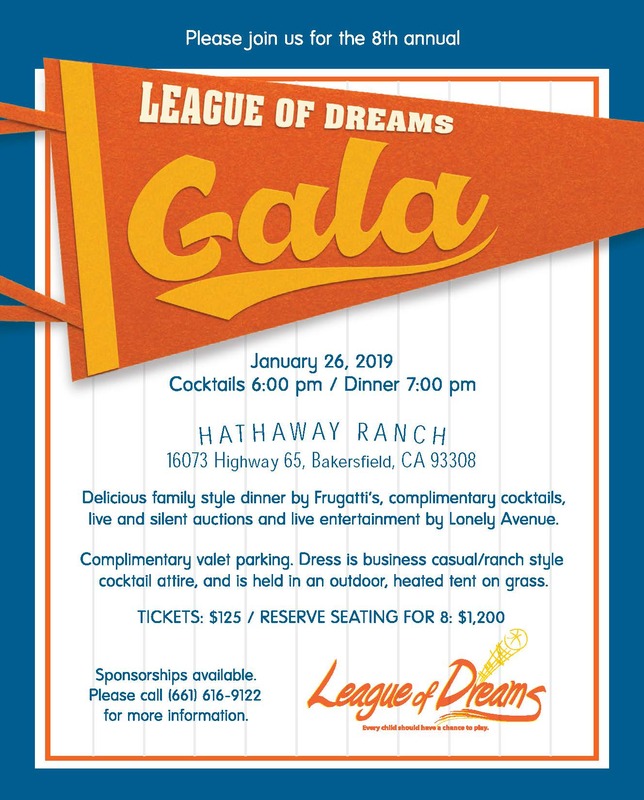 Join us for the 8th Annual League of Dreams Gala Dinner and Auction. Saturday, January 26, 2019 at the breathtaking Hathaway Ranch. Dinner served family style from Frugatti's, live entertainment by Lonely Avenue and so much more! Tickets $125 Reserved Seating for 8 $1,200 Sponsorships available.